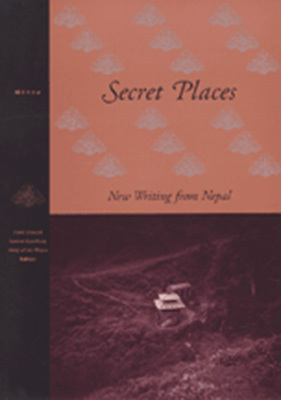 Secret Places: New Writing from Nepal is edited by Samrat Upadhyay and Manjushree Thapa. Prior to Nepal’s constitutional reforms in 1990, poets and fiction writers were often jailed and censored for speaking out. Nevertheless, they developed ways to discuss social and political issues in their creative works and to express the lives of Nepal’s diverse peoples. Nepali authors in Secret Places include Shailendra Sakar, Majul, Peter J. Karthak, Kesang Tseten, and Manu Brajaki. The volume also contains an informative interview with Mohan Koirala, one of Nepal’s most respected poets, and Samrat’s essay “A Kingdom Orphaned” is about the effects of the massacre of the royal family on the country and its people. In her introductory essay, Manjushree discusses Nepal’s contemporary writing community, and finds common ground among the more extreme stances. Buy Secret Places from Manoa, one of the most exciting literary journals in the world.